It seems as if a week doesn't go by without our office receiving a call from a veteran who has an other-than-honorable discharge. As a veterans disability lawyer, I hear the desperation of a veteran in need of his benefits, but VA keeps denying him because of the character of his discharge. The good news is that in many cases there are ways around the OTH discharge. In all of our years of experience as veterans disability attorneys, we know that there is an exception to this rule that is applicable in many cases. The typical scenario goes something like this: A veteran joins the service with no problems whatsoever. Goes through boot camp or is otherwise sent to a combat zone and experiences something traumatic. He doesn't know how to deal with it and turns to drugs or alcohol to cope with the mental strain. He then gets busted for some type of "misconduct" such as illicit drugs and ends up with an OTH discharge. Or, for whatever reason the veteran has difficulty coping with military life and develops some psychiatric problems in service, but the medical corps calls it a personality disorder. The psychiatric problems cause him to engage in "misconduct" that is often nothing more than a symptom of an underlying psychiatric problem. In many of these cases, the disabled veteran's life spirals out of control and he is left with a severely disabling mental illness that causes him to be unable to work. He may suffer periods of homelessness and other problems. He desperately needs financial assistance but VA refuses to grant benefits because of the character of discharge. 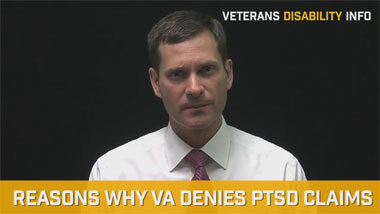 What should a veteran do under these circumstances? Well, he can try to upgrade his discharge, but that is often unsuccessful. The other option is to pursue the "insanity" exception. Now, "insanity" for VA purposes does not mean that you are a stark-raving lunatic; it just means that you had a psychiatric illness, which could be depression, anxiety, adjustment disorder, bipolar, PTSD, schizophrenia, somatic disorder, delusional disorder or psychotic disorder. Here's how it works. Basically, if you had mental illness during service at the time you committed the offenses that led to your OTH discharge, then you may be able to successfully argue "insanity" and still obtain VA benefits even though you did not have an honorable discharge. 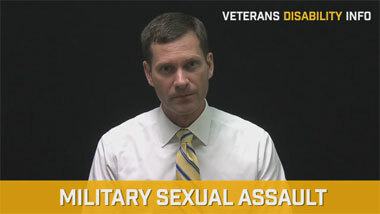 In most of the successful cases we have had in our law firm that focuses exclusively on VA appeals and veterans disability benefits, are situations where the "misconduct" is really just a symptom of the underlying mental illness. In other words, mental illness causes people to act in certain ways that can be disruptive to life in a military context. Too often the military focuses on the "misconduct" and fails to realize the veteran is suffering from an underlying mental illness. Instead of booting the veteran out with an OTH discharge, medical assistance should be offered. In order for this strategy to work you must actually have a current mental illness that had its onset during service even though it was not diagnosed for many years after service. It's not important that you were not diagnosed during service. So long as the evidence contains enough information to allow a forensic psychiatrist to establish the early stages of mental illness at the time of service. So, you next want to have a forensic psychiatrist look at your service treatment records and given an opinion as to whether your current psychiatric disorder had its early-stage onset during active duty. In other words, was your "misconduct" due to mental illness? If so, you can be entitled to VA benefits even if you have an OTH discharge. Again, the key is to have a current psychiatric diagnosis with some hints of psychiatric symptoms during service. Armed with this information, retain a forensic psychiatrist to evaluate your state of mind during service. Keep in mind that if your current claim involves an ankle or knee problem, then it would be tough to win. But if the claim is for psychiatric, then it is more likely to be successful. 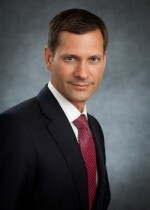 Over the years, as veterans disability lawyers, we have been successful in obtaining service connection for veterans with other-than-honorable discharges. These cases can be won so long as you have the right facts, experts, evidence, and VA appeals lawyer. 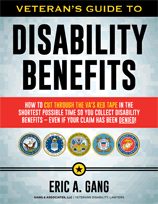 If VA has denied your claim because of an other-than-honorable discharge, please don't give up. Contact a veterans disability attorney without delay.